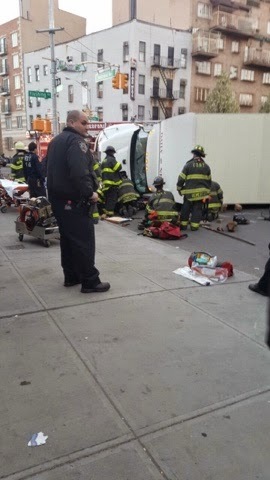 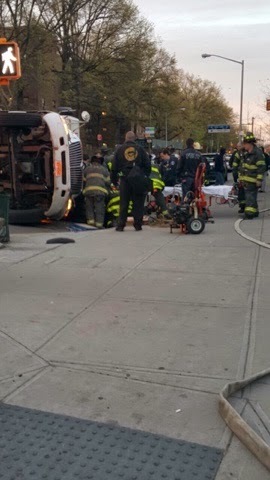 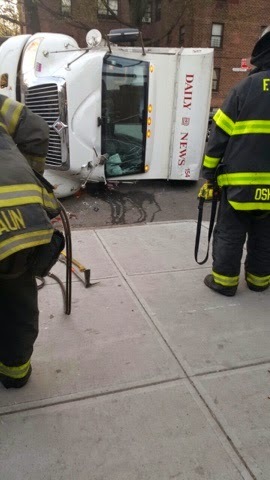 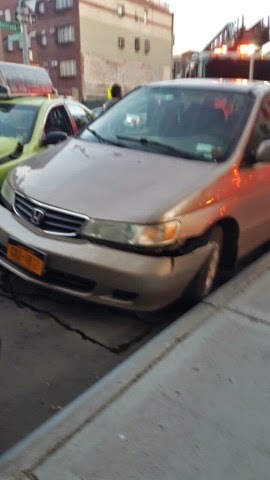 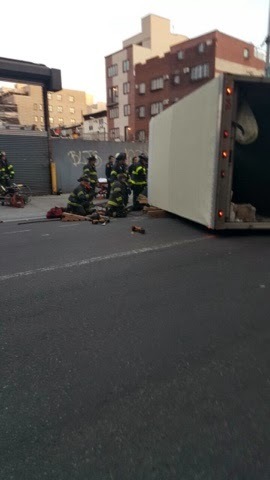 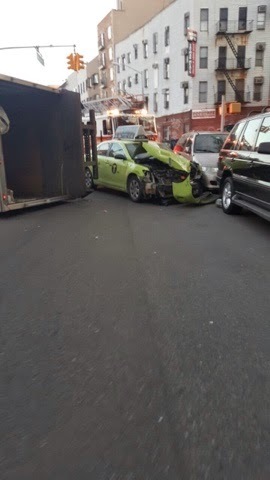 Brooklyn - FDNY & ESU were on scene of a accident at the intersection of Flushing Avenue & Nostrand Avenue were a 'Daily News' truck has overturned. 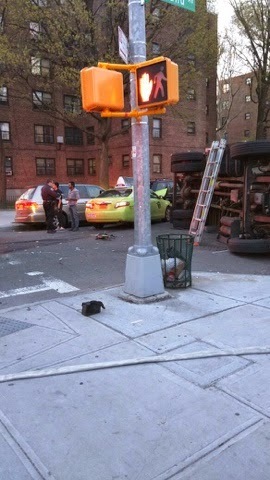 The driver was pinned and was extricated by FD & ESU. 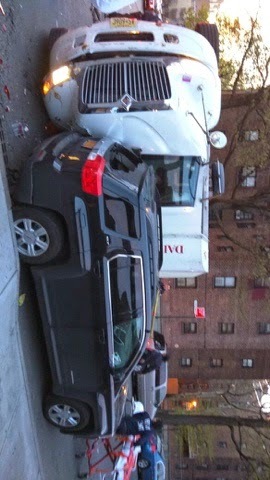 Highway CIS is on scene and conducting an accident investigation.